Newsifact: The last Republican: Some crazy guy having a crazy conversation with himself. 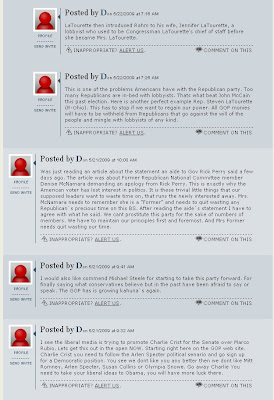 The last Republican: Some crazy guy having a crazy conversation with himself. From the GOP's official website. 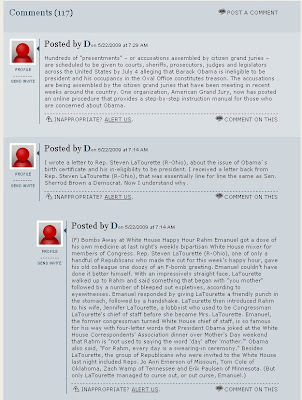 A user named "D" apparently condemned to engaging in a very, very long conversation with himself (seems like he's the last one left) about ACORN, Obama's birth certificate, Glenn Beck's great reporting etc...Somebody please help this guy; offer him a meal or something!! Etc, etc, there really is a LOT more!